Just follow these tips and ideas for perfect swiss roll always. 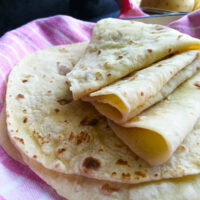 This is also a great recipe, it really is flop proof. 3. Remove the lining and trim off a bit of the stiff edges, which would cause it to crack during rolling. 5. Leave the rolled cake to cool completely in the parchment paper. I usually cover the parchment rolled swiss roll with a clean damp tea towel. I find that this keeps the sponge soft during the cooling process and makes it easier to re-roll it after it has cooled. 6. After it has cooled completely, unroll the sponge which will be slightly curved, so do not force it down, or it will crack. The curve will make rolling it back with the filling much easier. 7. Spread on the filling. Roll it up again. I hope that you have as much fun with different frosting and fillings as I did. This is a really easy, quick cake to prepare, just follow the guidelines above and you can impress your guests, family and yourself with this gorgeous dessert. 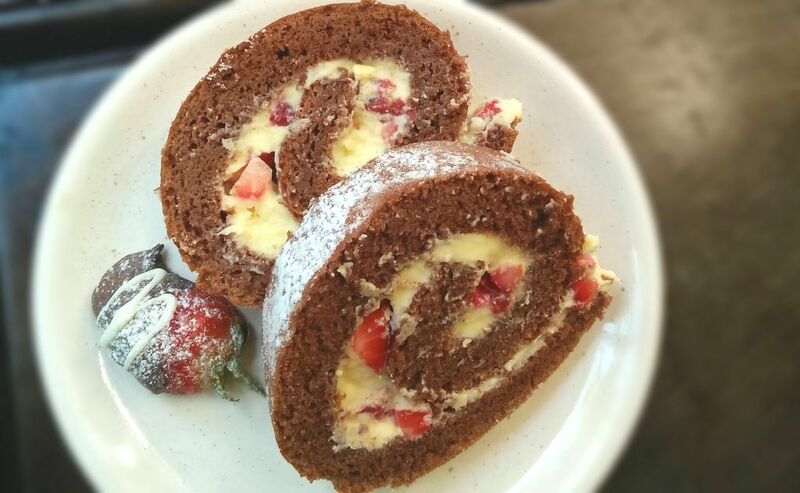 Strawberries and Cream Chocolate Swiss Roll makes an absolutely decadent and stunning dessert. Creamy mascarpone and fresh strawberries are chopped and spread onto a soft and moist chocolate cake. It is then rolled up to form a beautiful swiss roll. Beat egg yolks. Gradually add the castor sugar and continue beating until thick. Mix the cocoa powder and coffee in the hot water until smooth and beat it into the egg yolks. Sift the flour, baking powder and salt together. Fold it into the above mixture until smooth. Gently fold this into the cake mixture with a metal spoon until properly incorporated. 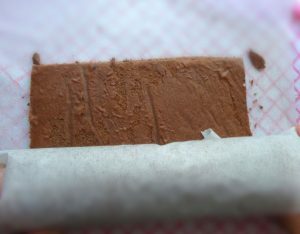 Spoon the mixture onto a lined and greased 23x32cm swiss roll tin. 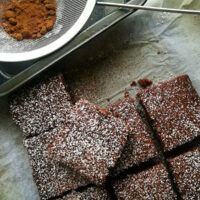 Turn out immediately onto parchment paper sprinkled with the extra castor sugar. Beat the cream cheese, icing / powdered sugar and vanilla essence together. Chop up the strawberries into little cubes. NOTE 1 Remove the lining and trim off a bit of the stiff edges, which would cause it to crack during rolling. 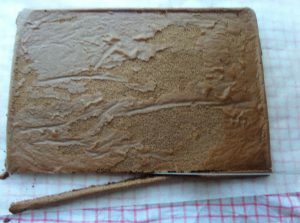 NOTE 2 Use the baking / parchment paper dusted with castor sugar to help you roll the cake up, while it is still hot, If the cake cools down, it will crack when you roll it up. NOTE 3 Leave the rolled cake to cool completely in the parchment paper. I usually cover the parchment rolled swiss roll with a clean damp tea towel. I find that this keeps the sponge soft during the cooling process and makes it easier to re-roll it after it has cooled. This is beautiful!! I love the little chunks of chocolate and strawberry swirled throughout. I would be scared to have this in the house1! Thank you Katherine,? Oh don’t worry…it is quite healthy…it has strawberries in it ? ( that’s what I tell myself)? How delicious! 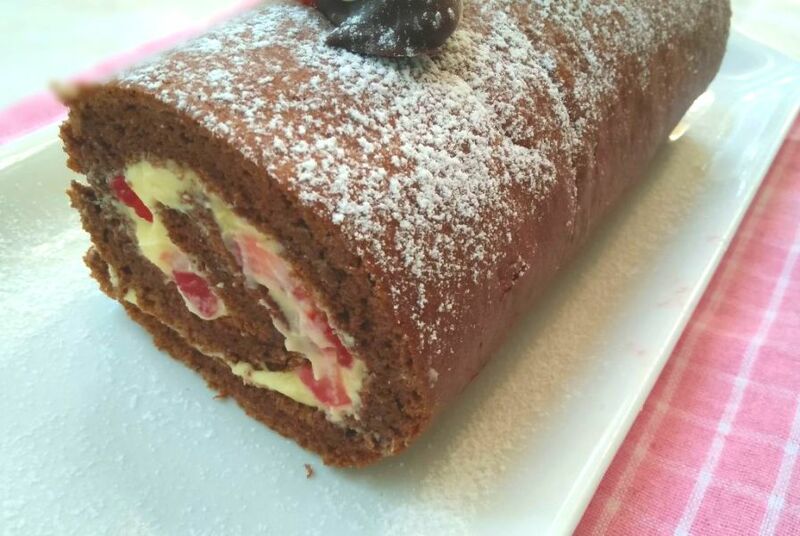 I can only imagine that using mascarpone and strawberries together makes this swiss roll a heavenly treat! Thank you Neil.It is definitely a great combination of flavours. Thanks for pinning. This will be a great recipe for next summer. 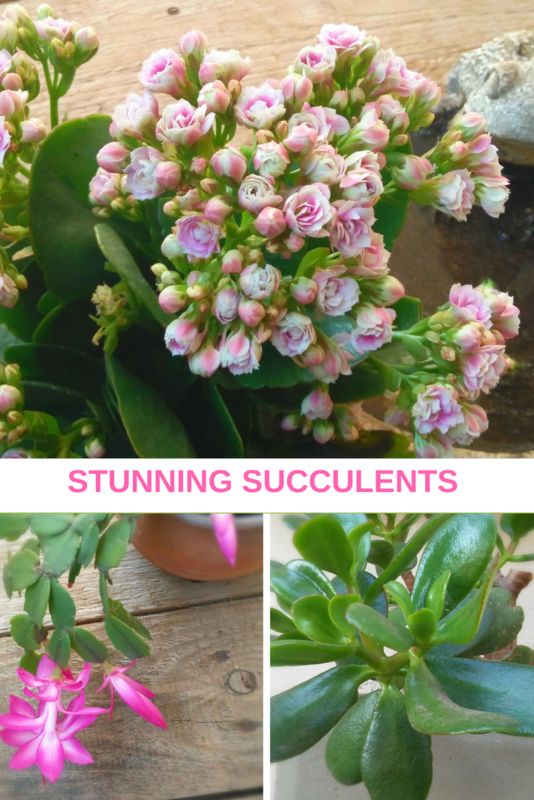 My favourite seasons, Spring and summer are about to begin here in South Africa,so there are really an abundance of delicious berries to use. Absolutely loving it!!! 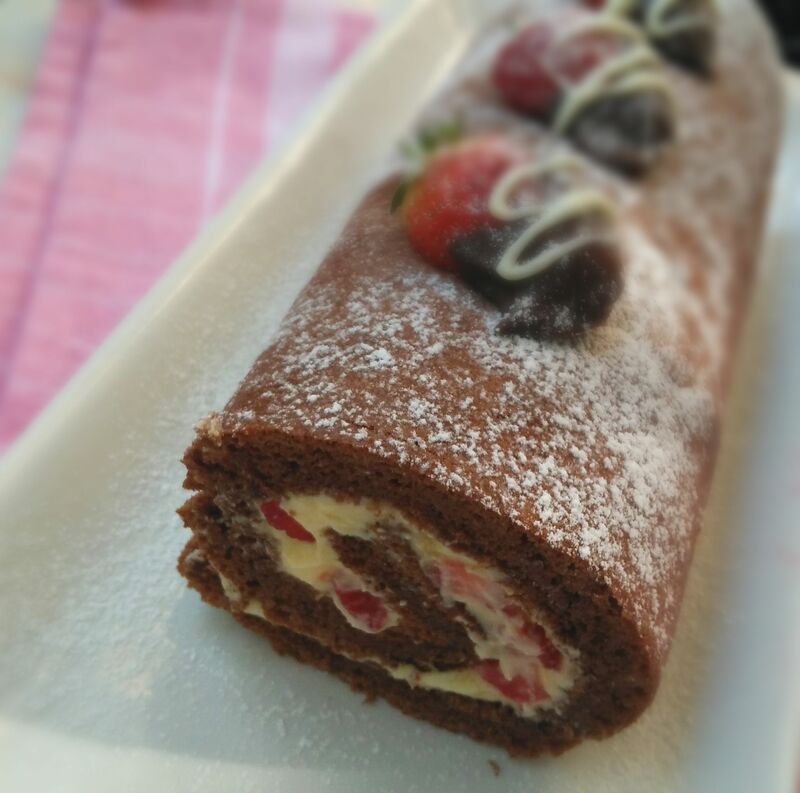 I haven’t baked a cake roulade in a really long while..this looks so beautiful, moist and tender. 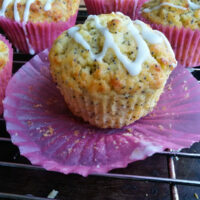 Thank you for your kind words Angie ?.I am glad that you like the recipe. I tried my hands on swiss roll once and let me tell you, I haven’t had the courage to try it ever again. It was disastrous on all levels!!! This roll on the other hand, looks so professional. Slices are so darn neat and the flavors sounds amazing too…YUM!! Awww… thank you Maria ?. I have also had tons of disasters with Swiss roll recipes. 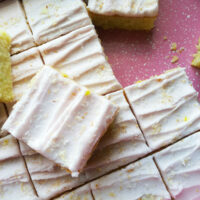 But seriously you should try this recipe and just follow the tips. 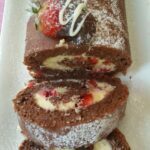 I can tell you that this is a swiss roll redemption recipe. ? Good luck if you try it out…and pleeeese let me know if you do,I will love to know how it turned out. Awwwww…..Super thank you!!! That is so kind of you. You should try mascarpone, it is delicious…it is similar to cream cheese, but a bit more yellow. 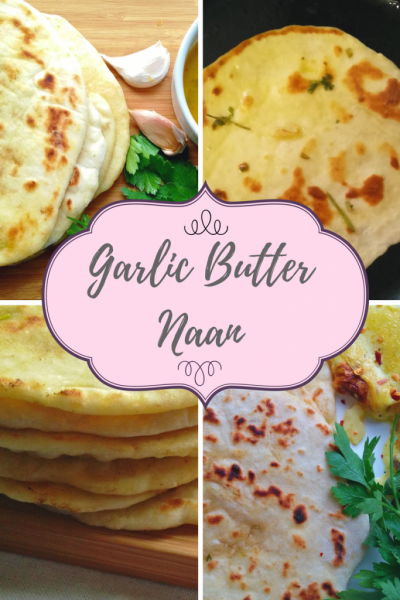 You can substitute it for cream cheese if you like, I have tried it as well and it turns out just as yummy. Thanks for the rating…I have no idea why it is not working. I am really bad at( tech stuff if you can call it that ),on my computer.But I will try to fix it. Thanks for letting me know.? Haha…Fancy, but really easy to make, buche de noel and swiss rolls basically have the same technique so give it a try with this filling….it really is delicious. Have a great weekend Heather.? Oh, I would love it if you tried…please let me know how it turns out ? Have a great weekend Kelly. This is beautiful! I love a good cake roll. And I love that you didn’t let a cracked cake defeat you! Have a great weekend, Ashika! Thank you Kelsie. Haha…I am crazy when something I try doesn’t turn out right. I have to perfect or try, no matter how many times I redo it.? Have a great weekend as well Kelsie. Yummy! 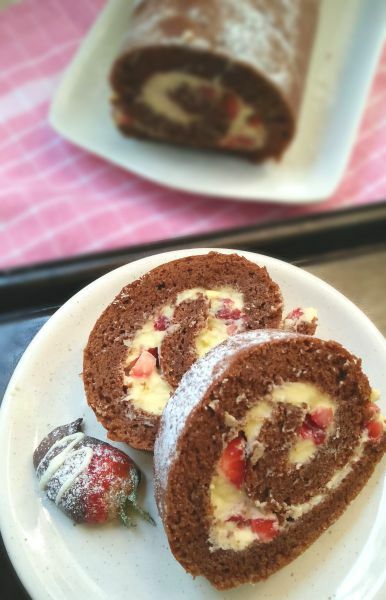 Who doesn’t love chocolate and strawberries with some cream cheese all rolled up together in a cake roll! 😀 Perfect!! This looks so good! It has put me right in the mood to go and bake one, I shall definetly follow your tips as I have only had 50% success making them.